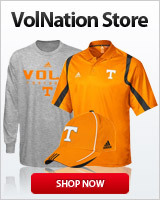 In our Tennessee Vols Baseball Forum you can discuss Tennessee Volunteers Baseball or Lady Vols Softball. Tennessee High School Sports. Discuss Tennessee High School Sports or other high school action in our Tennessee High School Sports Forum. Disappointed David Price not attending White House. Tennessee Volunteers Videos. Watch YouTube videos and others in our Tennessee Volunteers Video forum. If you can't discuss politics without getting angry then this is not for you. All regular board rules apply. Please respect each others opinion. Sports Forum. NFL, NBA, MLB, NASCAR, NHL or any other sports. Motorsports forum. Discuss Nascar racing, Nascar news or the upcoming Nascar schedule.